We know that you may worry about leaving your doggy in someone else’s care when you can’t be home for them. If you are working long hours you want your pet taken care of with the same love and attention you give them. That’s exactly what we do at Paws of London with passion! So, if you need a fully insured and reliable pet care professional, contact us! At Paws of London, we take only a few dogs for home-based day care so they get lots of personal attention, pampering and socialisation with our other guests. We are taking them out for for walks in the neighbourhood and often visit dog friendly parks like the famous Hyde Park. We treat your doggy as a member of our family ensuring he/she has a fun filled time with us. 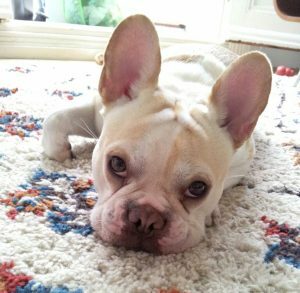 We offer premium day care service in a home environment in Chelsea, so that you can relax or concentrate on work knowing that your pup is being cared for whilst you are away. We provide a family atmosphere and fun environment without locked rooms or kennels. We keep spaces on minimum to provide an unparalleled level of personalised care and attention for your dog. Indoor pampering, playtime and sleeping, also plenty of walking or exercising during the day in Chelsea. With years of experience and training qualifications, we try to provide the best care to our four legged friends in an enjoyable environment. We are always around, your dog is supervised all the time and never be left alone. 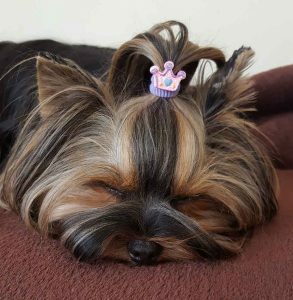 You don’t need to worry about your doggy, as we always send photos and updates of your pup’s best moments. Need help caring for your pets while you’re working late? Don’t want to let your pup home alone? Our doggy daycare service is here to make your life easier when your schedule is busy. Are you located in Chelsea and want to give your furry friend the best care and experience? Or you are just worried that your pooch gets lonely or bored while you are in the office the whole day? Don’t wait! Let your dog be our guest and we will guarantee the best care they deserve. We promise to protect your dog with our secured facilities and attentive staffs. Our doggy daycare service will provide all your dog’s need while you can’t be around. We are passionate about what we do. We always make sure that no dog will be going home sad but instead, they will be back to you with such energy due to their fun experience during the day. Your dog deserves to be playing out with their own kind. We designed their daily activities with more interaction with our other guests and tailor every activity according to their needs. It is the best way for them to experience comfort and entertainment at the same time. how about the benefits of our doggy day care service? Your pup will experience a lot of benefits, one of those is exercise. One of the most important things to consider when having a dog friend is that how can you keep them fit and healthy. That’s why we included various physical activities on our daily routine including walking and playing to make sure that they’ll have enough exercise in a day. As a result, they will release all their energy while staying with us and return home relaxed. Another benefit of our daycare service is socialisation. Your dog will have the opportunity to socialise with others. You are maybe obsessed to be with your dog alone all day but your pup needs to meet others too. Socialisation is also a way to help your furry friend learn on how to get along with other pups and how to interact with other people. You wouldn’t like it if your friend got sad while alone the whole day at home, would you? A lonely dog is most likely to experience separation anxiety. This is dangerous because they can develop destructive disorders which may include chewing, howling or excessive barking. To prevent these issues, we offer home based daycare service in Chelsea, and we will make sure to allow them to experience maximum fun moments with other pups. Isn’t it nice to imagine your dog having fun while you are working during the day? Hence, you wouldn’t have to worry about coming home to a sulking friend on the corner of your house anymore. Care and attention are your highest concerns as a good friend to your dog. We are also aware of these, so we will treat your friend as our friend too. Plus lots of care and attention for them to feel special and loved. So even if you are away your dog wouldn’t miss to play and get a lot of hugs. Because safety is important, we assure that your dogs will play with the supervision of us all the time. They’ll be guaranteed of staying safe and clean before and after their playtime. Our intensive monitoring is a thing that will promise that you will allow your four-legged friend to be back again with us. Pick-up and drop-off are available in other areas of London too. Our doggy day care service is available for friendly dogs only. We offer discount for the second dog from the same household. Availability during the weekends are limited and subject to a £20 surcharge. Pet services during bank holidays like Christmas, New Year’s Eve, Easter, etc. are double charged.